Chrissy Teigen suffered an early morning earlier this week after her new pet hamster escaped from its cage. 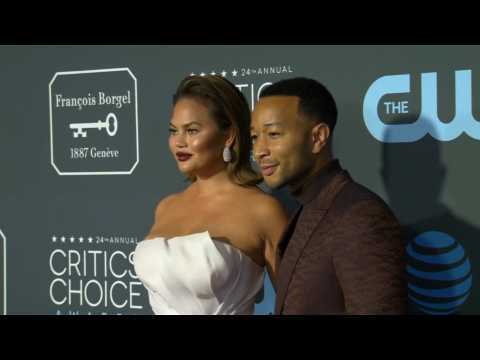 Chrissy Teigen has shared how she is on a "journey" to self-acceptance as she learns to embrace her post-baby body after realising, she no longer has to maintain a "swimsuit model" figure anymore. The model and TV personality took to Twitter on Monday to share the embarrassing incident with fans as she joked about the bad first impression she must have made on other mums and dads. Model Chrissy Teigen relied on her two-year-old daughter Luna's feedback with her new make-up line with Becca Cosmetics. John Legend's daughter sees baby brother as 'competition'. John Legend thinks his daughter Luna sees her new baby brother as "competition".